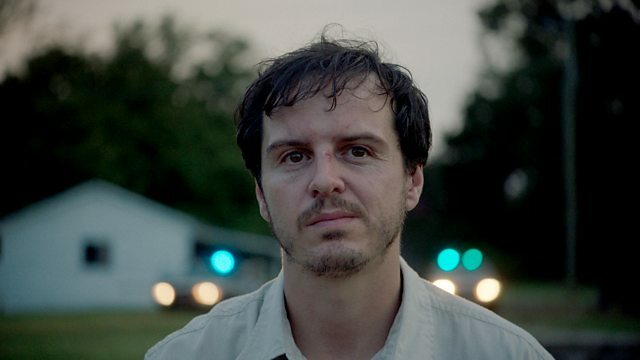 Andrew Scott talks about his new film, Steel Country. We review Maggie Smith's return to the stage after 12 years. Plus a rare interview with photographer William Eggleston. Andrew Scott, who played the priest in the recent run of the TV comedy drama Fleabag, talks about the sexual chemistry between him and Phoebe Waller-Bridge, how he approached “that wedding speech” in the series finale and his new film Steel Country, in which Scott plays a garbage collector in Pennsylvania who believes a boy has been murdered. Dame Maggie Smith returns to the stage after 12 years to deliver a one hour forty minute monologue as Joseph Goebbels' secretary Brunhilde Pomsel, her words based on an interview the 103 year old former Nazi gave recently to filmmakers. Adapted by Christopher Hampton, A German Life is at London’s Bridge Theatre. Susannah Clapp reviews. Pioneering colour photographer William Eggleston is about to celebrate his 80th birthday, and a new exhibition of some of his groundbreaking work has just opened in London. A series of images of rusted cars, industrial decline and the mundane details of everyday life in 1970s California are typical of his work, featuring the vivid saturated colours he’s most associated with, often bathed in the glow of the early evening sun. In a rare interview, the influential photographer reflects on a life behind the lens.